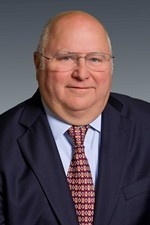 Jim is a seasoned financial executive with significant international business experience, having held CFO, VP Finance, Corporate Treasurer, and Divisional Controller positions in public, private and nonprofit companies. He has a strong ability to partner with the CEO/President to grow and develop the business. He also has extensive systems, problem solving, and staff development skills, and an ability to achieve operating results by focusing both on effective management and on developing excellent working relationships at all levels. He has a deep expertise in financing (debt and equity), mergers, acquisitions and divestitures, development of 1-5 year business plans, cost control, and change and risk management. Jim is originally from Canada and holds a Bachelor of Commerce degree from Laurentian University. He earned his CA/CPA while working in the Toronto office of KPMG. Active in the community, he is a teacher for Junior Achievement of Washington, former member of the Board and Finance Committee of Cocoon House (Everett, WA), former Treasurer and Board Member of the Seattle Chapter of the Association for Corporate Growth (ACG), and an active member of the Granite Curling club. 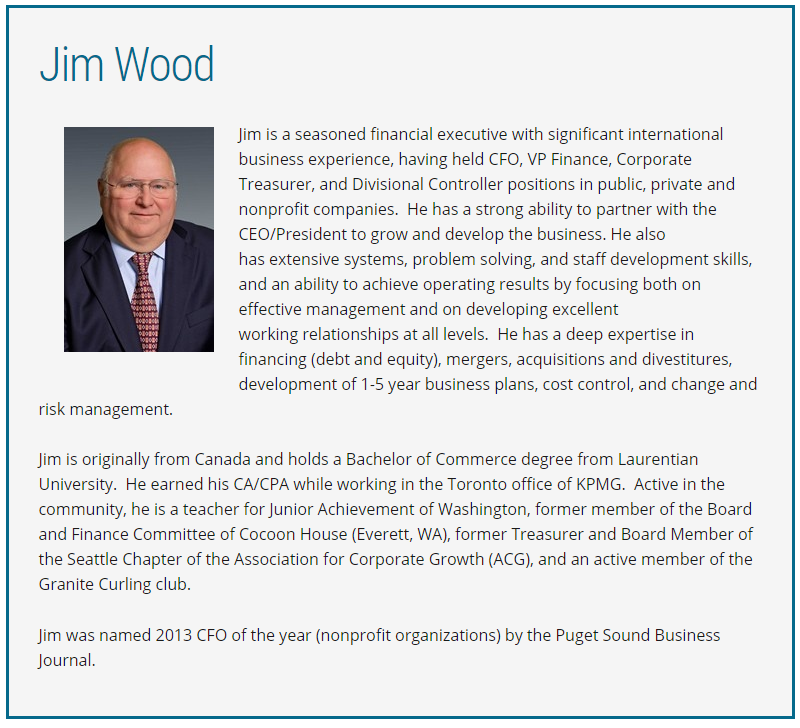 Jim was named 2013 CFO of the year (nonprofit organizations) by the Puget Sound Business Journal.